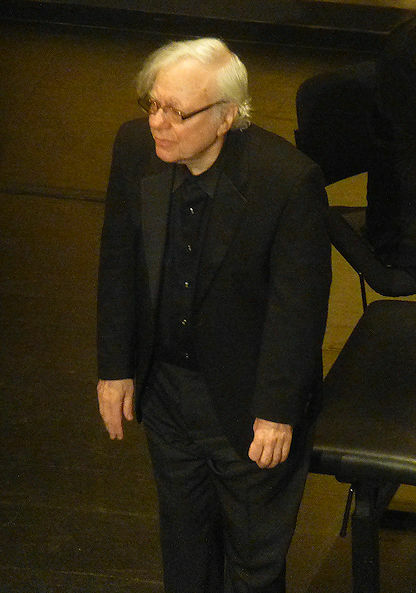 Richard Goode was at the TCE in the series of the Sunday Morning Concerts. 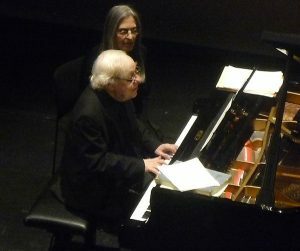 The American pianist, who studied with no less than Rudolf Serkin and Mieczysław (Mieicio) Horszowski at the Curtis Institute, won the 1st prize at the Clara Haskil Competition and the Avery Fisher price. 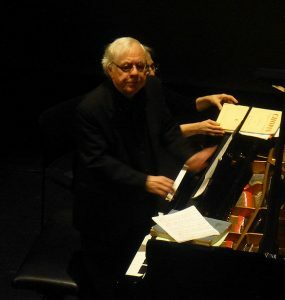 He was the 1st American-born pianist to record the complete Beethoven Sonatas, and is one of the Artistic Directors of the famous Marlboro Music School and Festival. Particularly noted in Mozart and Beethoven, he had chosen a beautiful program, starting with Alban Berg Sonata. It is in one movement (of sonata form), and uses chromaticism giving tonality an unstable feel. Next was Ludwig van Beethoven Sonata No. 28, the 1st of his last period. The last 3 movements were particularly enjoyable, and Goode was impeccable in the challenges of the dotted rhythms of the Vivace alla marcia, the short and melancholic Adagio ma non troppo con affetto, and the contrapuntal Allegro ma non troppo and its superb fugue. Goode finished his recital with several Chopin works: Nocturne op. 62/1, Mazurka op. 41/3, Mazurka op. 24/2, Mazurka op. 59/2, Mazurka op. 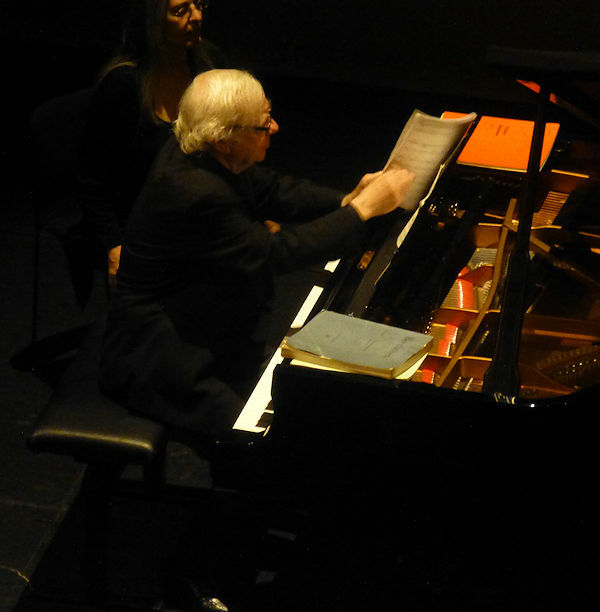 50/3, Ballade No.3, Nocturne op. 27/1, and the Barcarolle. His Chopin was brilliant, in particular the last 4 pieces. Richard Goode gave 4 rare encores coupled by 2: William Byrd’s Fifte Pavian and Galliarde and Mozart Menuet K355 (576b) and Gigue K574. This entry was posted in Classical concert and tagged Richard Goode by MichelE. Bookmark the permalink.